Redskins owner, Daniel Snyder, has decided to drop his lawsuit against Washington City Paper officially ending his attack on the 1st amendment of the constitution. If you need background on his actions that became a cause célèbre for lovers of free expression in America, you can find my finely honed criticisms over this matter here, here and here. I don’t think this legal action was going to work out well for him. First, free speech rights regarding public figures are pretty sacrosanct in American courts (see Falwell vs Flynt). Plus, DC has a statute that allows for prosecution for law suits aimed to intimidate freedom of speech. The Snyder legal team’s approach to this was not to question the merits of such a case were it to have been enforced, but to claim the DC City Council had no right to pass such a law. Of all the things Snyder complained about regarding City Paper’s scathing synopsis of all the goofy things the Redskins owner has done through the years- he had pretty much dropped his outrage for all elements of the article except one; the impression the piece gave that Snyder himself, was personally involved in “slamming,” the practice of changing people’s phone services without their knowledge, back when he ran Snyder Communications many, many years ago. An out-of-court settlement was reached at the time in which Snyder admitted no wrongdoing. City Paper conceded they may have left the impression Snyder himself was involved in slamming practices but insisted they did so without malice. 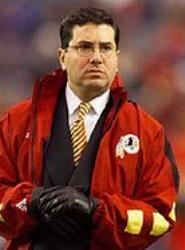 Wisely, a word not ordinarily associated with Dan Snyder, he backed down. The pre-season-opener announcement cleared the decks for a new era of good feelings as he seemed to sense the Redskins may actually be a decent team this season and further distractions on the frivolous law suit-front would be counter-productive. Bravo, Snyder. This is almost as big a victory for free speech rights as the 28-14 Redskin win over the Giants was a statement about how good and how loved his team could be if he just stops meddling with the front office and causing self-inflicted public relations wounds. Redskins owner, Dan Snyder, is back with his lawsuit against City Paper, now filing in DC instead of New York. He could have done so quietly- but no. The re-filing came with an op-ed piece in the Washington Post explaining why this particular dog can’t let go of this particular bone. I posted passionately on this when the matter reared its ugly head the first time around. The point I was trying to make is that while Snyder says his father was a journalist and he understands criticism and he’s never filed a defamation suit against anyone before, the fact of the matter is that the effect of his legal action is to cast a long and threatening shadow over anyone who dares to criticize his majesty- or they too may end up fighting a multi-million dollar law suit that would end up bankrupting them. You may recall the lawyer-letter to City Paper from the Redskins General Counsel that intimated exactly that; say you’re sorry or you’ll spend so much time in court that your sorry little paper and its measly little resources will never cover the court costs and you’ll go out of business. I know this about the long, threatening shadow because in a very small way, I felt it myself. After my first post on this matter in which I questioned the sanity of the Redskins owner, worried friends e-mailed me or posted stuff on Facebook to the effect of—careful- or you better “lawyer up.” And they weren’t kidding either. No. No one should be afraid to criticize the rich and powerful and famous. This is one of the reasons we fought a doggoned revolutionary war. So we could say anything we wanted to say about King George III and his ilk and not have to face lawsuits or prison. It’s why the American courts give huge latitude to those who criticize public figures. There were about 57 different bones that City Paper threw at Daniel Snyder in the column that started all of this last autumn. A veritable catalogue of complaints about the Redskins owner; from his incompetence as an owner to the Redskins suing their own fans when they lost their jobs and couldn’t afford to pay for their season-ticket contracts; the ban on signs at Fed Ex Field critical of Snyder—the stuff we’ve all read about now for so many years. I honor vigorous free expression in the media. But even a public figure can sue for defamation when a tabloid paper publishes a harmful assertion of a fact, not an opinion, that it knows to be false or recklessly disregards the truth. That is exactly what this writer and City Paper did. Among many examples in the November 2010 article, the most egregious was when the article stated: This is “the same Dan Snyder who got caught forging names as a telemarketer for Snyder Communications.” That is a clear factual assertion that I am guilty of forgery, a serious crime that goes directly to the heart of my reputation — as a businessman, marketer and entrepreneur. It is false. Here’s what happened (or so it’s alleged). His company got nabbed (allegedly) for “slamming” a couple of decades ago; the practice in which you (allegedly) change people’s phone services on them without them knowing it. There was an (alleged) out-of-court settlement in which Snyder Communications admitted nothing but (allegedly) paid unspecified amounts in damages. Did the City Paper actually mean Daniel Snyder himself participated in the practice? Or did they mean the company he ran did? Did the paper show actual malice? That’s what the courts will sort out. And he wants a jury trial. This is going to be rich. The previous article was not written with any malicious intent toward Daniel Snyder, hereby known as the “public figure.” I have made no harmful assertions or representations of fact purposely intended to damage the public figure’s reputation beyond those actions he, himself, has taken to injure his own standing in the community. I further assert that it is my full right as an American citizen covered by the protections of the 1st Amendment of the Constitution of the United States of America to criticize, ridicule, satirize or otherwise poke fun at any damn public figure I feel like. 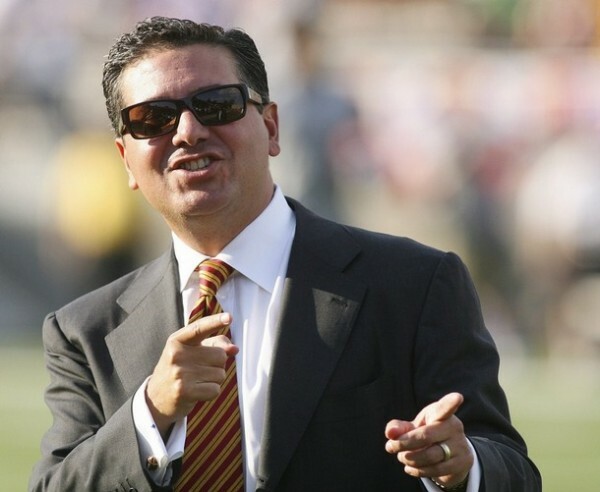 Hosni Mubarak will likely be gone long before Daniel Snyder. If there were a version of Liberation Square somewhere near FedEx Field, tens of thousands of Redskins fans would be gathering in an effort to depose our own more innocent local version of the imperious dictator. It’s more than a case of an incompetent owner of a football team. This has become a cause- a fight in defense of freedom of speech; a true 1st amendment battle against intimidation and the abuse of our judicial system by a rich, powerful, self-absorbed bully who has resorted to the courts in a transparent effort to stifle dissent and criticism. 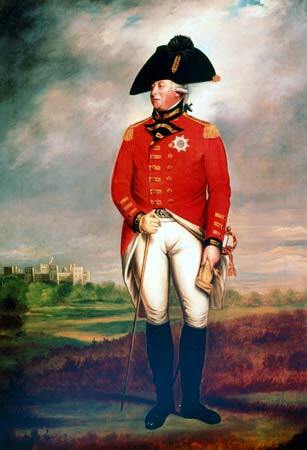 He would have made King George himself proud. Snyder has now given more than a half-dozen media interviews since invading Dallas, Texas this week in his royal arrival for Super Bowl festivities. With each defense of his defamation law suit against the Washington City Paper, he reveals himself as a self-pitying, intolerant man with a well-developed sense of victimization. But I’ve matured. I’m patient now. I’ve had cancer. My wife is battling breast cancer. So I’m a survivor, my wife is now a survivor, and things have changed. I’m 46 years old. I’ve matured. Well, I too, am a cancer survivor. Eleven years ago I underwent surgery and months of radiation therapy. But I don’t trot it out every time I feel the need to elicit pity and sympathy. But most offensive of all is Snyder’s reckless claim of anti-Semitism, saying that the newspaper’s cover-art, showing Snyder with horns and a mustache, invokes longstanding anti-Jewish imagery. Well, speaking as a Jew, that’s baloney. Moreover, it’s an opportunistic and self-serving accusation that minimizes the real pain suffered by legitimately aggrieved Jews throughout the world. As the City Paper correctly points out, the cover suggests a child’s scribblings across a photo of Snyder. It doesn’t portray him ant-Semitically; it portrays him as a figurative devil, and that’s legitimate. And oh, by the way, the cover artist and the editor who approved it are both Jewish. In his media interviews Friday, Snyder repeatedly said that City Paper “crossed the line.” I would argue it is Daniel Snyder who has crossed the line. And in so doing, he has unleashed a firestorm of indignation that has resulted in a veritable celebration of 1st amendment exercises of free speech against his attempts to stifle criticism. In these interviews, Snyder says all he sought was an apology and a retraction. So this $2 million dollar law suit is a matter of pride then. The threats from Redskin’s COO and General Counsel, David Donovan, to City Paper’s ownership group last November, that litigating a law suit could bankrupt City Paper, were just a matter of principle. Well, if we’re going to talk about principle, City Paper insists it has nothing to apologize for and nothing to retract. And here is the most important point of all. This lawsuit is not just an attempt to silence the criticism of one publication. It is a tactic of intimidation designed to suppress criticism by all who would now live in fear that the words they type or publish will somehow land them in a court of law facing the prospect of bankruptcy and destitution. No, this is much, much bigger than a petulant owner of a local sports team. This goes to the core of why the 1st Amendment exists in the first place; to protect the rights of free expression against the whims and conceits of the powerful. If you follow professional football, this past Sunday was one of those days that humble the nimblest of prognosticators. There was one upset after another but three games in particular that are worth mentioning as case studies in humility and perverse psychology; the Pittsburgh Steelers last second loss to the lowly Oakland Raiders, the New England Patriot’s defeat at the hands of the Miami Dolphins and, the doozy of them all- the crushing collapse of the Washington Redskins who were poised to shock the mighty and undefeated New Orleans Saints. All three are storied franchises. Two of them, Pittsburgh and New England are newly in decline; the Redskins have been a complete basket case for years now. 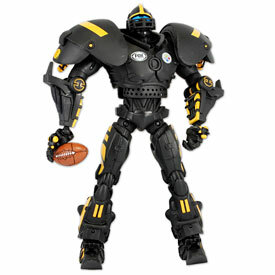 The Steelers, of course, are the defending Super Bowl champs. They’ve lost four straight now and in excruciating fashion, giving up late 4th quarter leads. They’ve suddenly become unable to close the deal. 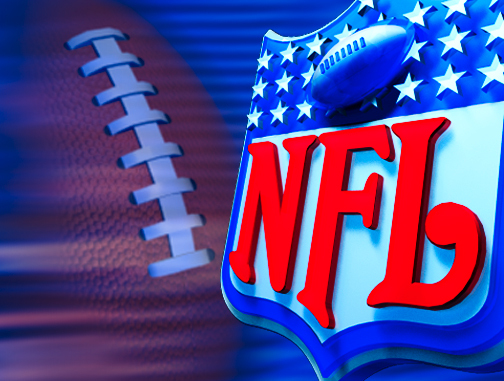 And two of their four losses have come against the dregs of the NFL, the Kansas City Chiefs and the Oakland Raiders. Their offense is fine. Their defense is suspect. People who know these things say they don’t have much of a pass rush anymore and just can’t put pressure on opposing quarterbacks. This leads to things like an Oakland Raider quarterback named Bruce Gradkowski throwing touchdown passes against them with 9 seconds left to play. The saga of the last three games for the New England Patriots has been fascinating in a macabre sort of way. It started with the game against Peyton Manning and the still undefeated Indianapolis Colts when Bill Belichick, one of the great coaches in the history of the game took one of the strangest and most unorthodox chances of the last fifty years and decided to go for it on a 4th down situation from their own 27-yard line when all they had to do was keep the Colts from scoring a touchdown with about 2 minutes to play. Instead of safely punting the ball away, the fabled Tom Brady completed the pass, but the receiver juggled the ball just enough to fall inches short. Enter Peyton Manning with a short field- touchdown pass- game over. People will talk about that decision for years. If the Patriots had gotten the 1st down they could have run out the clock and walked off with a victory. Basically, it was the biggest riverboat gamble since John McCain picked Sarah Palin as his running mate. In the next game, against the New Orleans Saints who are sporting one of the most prolific offenses in the history of the game, the Patriots were blown out and didn’t look like they belonged on the same field. Highly uncharacteristic. So after a crushing and humiliating defeat, you’d figure the best coach in history would have his players tuned up for a game against the Miami Dolphins who are a .500 team. After starting the contest off with a 14-0 lead it all fell horribly apart as the Dolphins awakened like Lazarus and kicked a last second field goal to send residents of New England into deep sorrow. And then there are the Washington Redskins. After the glory years of Head Coach Joe Gibbs and the wonderful ownership of Jack Kent Cooke, self-made millionaire, Daniel Snyder bought the team ten years ago and they’ve never been quite the same. Now widely acknowledged as the single worst owner in the NFL, he has literally been a case study in dysfunctional management as expressed most accurately in this piece by Washington Post columnist, Sally Jenkins several months ago. He is a micro manager. He meddles, spends large bucks on old and decaying free agents, drives his own coaches nuts, sues his own fans in the middle of a recession when they can no longer make payments on their season tickets, and most recently, showed disdain for the 1st amendment by sending goon squads into the stadium in an attempt to ban derogatory signs brought in by disgruntled fans. The Redskin season effectively ended many weeks ago so the passionate hatred for Snyder has eased somewhat mostly due to indifference. The players have shown heart in the last three games, playing tough teams close and finding one way or another to grasp defeat from the jaws of victory. But what happened yesterday at Fedex field in Landover, Maryland was beyond description. They led the undefeated New Orleans Saints for most of the afternoon, poised for one of the greatest upsets of all time. But strange, very strange things began happening. A Redskin player intercepts a ball, then fumbles it and it gets returned for a touchdown. With about 2 minutes to play and getting ready to hit a short 23 yard field goal that would have put the Skins up by 10 and sealed the game, kicker Shaun Swisham, missed a chip shot. The Saints went on to score a game-tying touchdown, lost the coin-toss for overtime, but still managed to eventually march down the field to kick the game-winning field goal. This man, Swisham, is the same guy I strongly suspect drove legendary coach Joe Gibbs back into retirement. Two years ago, after Gibbs had rallied the team following the horrible and untimely shooting death of star Free Safety, Sean Taylor; after they clawed and scratched their way into the playoffs and to a first round win against Tampa Bay- this guy Swisham missed right on a similarly easy, 30-yard field goal against the Seattle Seahawks, just as the Skins had managed an inspired and epic comeback. Gibbs would never say such a thing, but it was no surprise to me he retired the following year- and it had to be Swisham. You just don’t go through what Gibbs did that season, mend a team that had been grief-stricken at the loss of one of their teammates, rally them into an improbable playoff appearance, be one game away from the NFC championship and watch it all melt away because a 27–year old with a penchant for failure in the clutch, can’t make a little, baby field goal attempt. So where to now and what are the lessons learned from the losses these three teams suffered on one Sunday afternoon in December? For fans of the defending champion Steelers, you accept your team has won two of the last four Super Bowls and hope they draft some really good defensive linemen next year. For New England, you accept a certain amount of humility and hope Bill Belichick can find a little too someday. And for the Redskins- you send Shaun Swisham to a sports psychologist to learn the art of visualizing success, owner Dan Snyder to a basic seminar on executive management and his players to a course on dealing with difficult people in case Snyder’s management seminar doesn’t take. And for those of us who follow this stuff and think we know what we’re talking about: we know nothing.